"Tell me Mummy, how was it before I was born ? Before, our names were not Mum and Dad. Then you arrived and it was an explosion of joy, as big as the Big Bang ! Our heart grew so much to welcome you and then, we were not two anymore. We were three for ever. But sometimes when you are slipping or playing, we look each other. And for a brief moment, we only think about the two of us. This is gift season, so we also would like to offer you something. That's why we will refund half the cost to the first buyer of "Aquarelle Nous Deux" ! Prices : Shawl : 325€, Size 4 : 395€, Size 5 : 425€, Size 6 : 455€, Size 6 grade 2 : 409€, Size 7 : 480€, Size 7 grade 2 : 432€ VAT included without postage fees. Clients outside Europe are not submitted to VAT. We can become a mother in many different ways. Some of us imagine their maternity well before conceiving their baby. To others, maternity catches them before they decide to become a mother. I became a mother at the end of a strong war, with the help of an army of soldiers : doctors, surgeons, geneticists, nurses. No matter the way we become a mother, for everyone this experience changes everything. On one way, it makes us terribly fragile and vulnerable. But on the other way, it reveals our supernatural power : we bear life and give birth. To talk about this superpower, we chose a gentle and poetic universe because this is our paradox : we are strong because we are caring, patient, resilient, loving. These qualities are absolutely needed to raise a baby and help him to become free. Prices : Shawl : 325€, Size 3 : 365€, Size 4 : 395€, Size 5 : 425€, Size 6 : 455€, Size 7 : 480€, VAT included without postage fees. Clients outside Europe are not submitted to VAT. Have you ever been to Finse ? It not, you absolutely need to do this once in your life. It is a mountain plateau exactly located at 1222m above the sea level. The plateau can be reached only by train. When we put our foot on the station platform, an icy wind hit our faces and went through our cloths. Surely we were not the only people surprised by the wind because we found in front of the station a small shop offering a "survival kit" for walkers : gloves, spats, cloak, pullover. Our equipment adjusted, we started walking around a lack and then, roaming on multiple small paths. The grass was short and streams were everywhere. Everything was announcing the climax of the walk : a huge and sublime glacier. Our new wrap evokes this glacier with an icy, almost transparent blue enhanced with a warm chocolate yak down : your perfect ally for wintry adventures ! 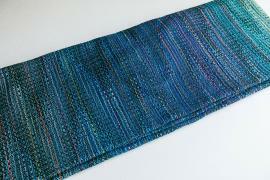 Prices : Shawl : 325€, Size 4 : 395€, Size 6 : 455€, Size 7 : 480€, VAT included without postage fees. Clients outside Europe are not submitted to VAT. 115€ for a size 6.
Who doesn't want a toddler-worthy, luxury Pussycat? 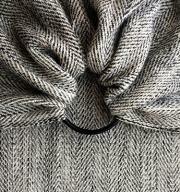 This wrap is in our strong puffy weave with a extra thick, characteristic thread. It gives loads of support, a good texture and grip and feels as a cloud on your body. 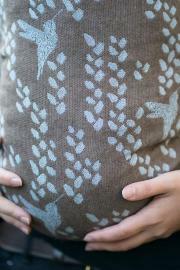 This wrap is heavy in hand and best to use with baby's at 3 months and older. This wrap can handle the heavy weights with ease, but also makes sure you look stylish and can enjoy a luxury feel from a wrap with wool, baby camel and silk. Estimated time of arrival - end of this week. The toddler prison. Period. Perfect ruck-wrap for heavier children. 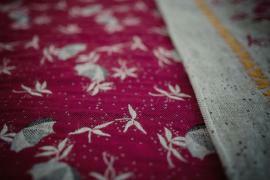 Bishnu Deluxe is the perfect toddler sling for fall and winter. I'm very glad to introduce you this very special wrap. 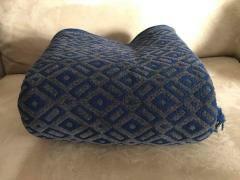 Woven in the Paris pattern, and showing 2 different faces (navy-grey / navy-havanna), this prototype is a double weave wrap, with chenille (100% cotton) as many of you had guessed already. Double weave + chenille = very thick. This looong size 7 (5,4m) weights around 1,7kg (after wash, like the regular November Mist, the width of the wrap is narrow, around 58cm. But it has a good stretch despite the thickness). The GSM is then close to... 540. Yes, you read well. The chenille yarn gives it a lot of grip. And cush. You don't need a double knot to keep it in place. This wrap is suitable for heavy babies only, and experienced wrappers. Single layer carries are enough with such a beast, since then you may not need a very long wrap. In my opinion, this is perfect for back carries, like rucks, and I would personally go for a 4 or a 5 to have nice tails. Sorry for the poor light in my pictures, it is grey and cloudy in Paris these days (and my baby is quite sick, so we're not going too much outside). The color combination is really classy. So, who would dare to wrap with such a beast ? 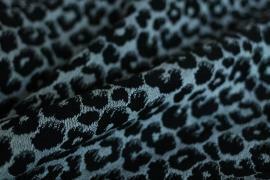 Heavyweight blend of mohair and mulberry silk released during the Vogue Online Shopping Night. Teal and slate green. 1 size 4 and 2 ring slings sold. Bist du bereit für starke Drachen und beeindruckend schöne Blautöne? Unser Adrian im Drachenland überzeugt neben seinem coolen Design mit einem besonders hohen Flächengewicht, welches durch einen 5x dickeren Faden zustande kommt. Damit ist dieses KOKADI besonders gut für größere Babys und Kleinkinder geeignet. Aufgrund der sehr geringen Stückzahl wird es bei dieser Limited Edition einen Stealth Release geben. Das bedeutet, dass wir dieses Design im Laufe des heutigen Tages veröffentlichen werden, ohne eine konkrete Uhrzeit zu nennen. Damit möchten wir jenen die Chance geben ein Exemplar zu ergattern, die sonst beim „Jagen“ keine Chance hätten. 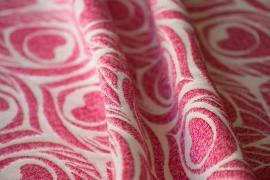 Blend: 41% Pima cotton 36% viscose 16%Tussah silk 7% SeaCell, Oeko-tex certified. 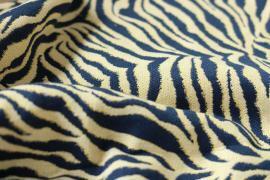 Care: hand wash with a liquid detergent suitable for silk. Suitable for: heavier babies and up. What makes this wrap special: An airy cloud of cushiness with lots of texture, this is the perfect wrap for picky shoulders. Prices include European VAT, but exclude shipping (Germany 7€, Europe 15€, ROW 20€). Bist du bereit, für ein neues Highlight aus unserer Garn-Schatzkammer? Aufgrund der geringen Stückzahl dieser exlusiven Limited Edition wird es deshalb ein Stealh Release geben. 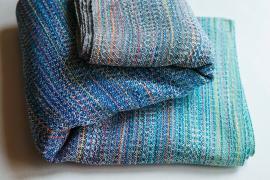 Indigo ring sling crackle weave 100% cotton. 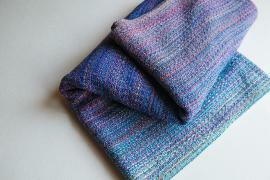 Indigo ring sling crackle weave with viscose weft. 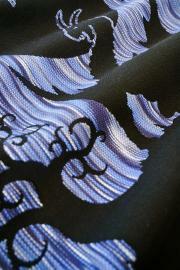 Indigo crackle weave with viscose weft. Stunning and perfect for any occasion. 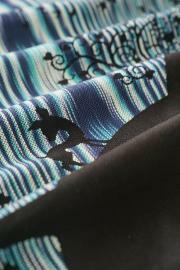 It is a first time, when you can find in Kenhuru wrap blend with viscose and merino superfine wool. 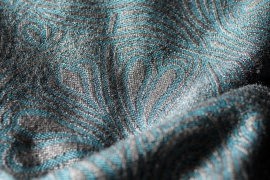 You can feel luxury on shining texture of high quality combed cotton, very soft merino superfine and beautiful nubs from viscose. 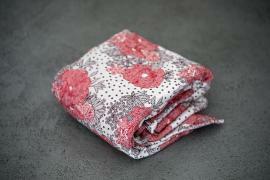 This wrap is only for a toddler and babies over 9 kg weight, definitely not for newborns. Don't need to be broken - it is very soft straight from the box. Works really well in tightening and it's great for single and also multilayer carry. Thin in touch, grippy and very supportive. STRILLKA GOOSE ON THE WATER is ready to wear straight from the box.